Before the sun was up on Saturday, Trinity’s 2019 Ten Tors squad were loading up ready to take on what proved to be a very challenging day for a practice walk on Dartmoor. With ground conditions very wet underfoot and a route planned to test the team with heavier bags, the day lived up to its billing. The Trinitonian spirit of resilience, determination and leadership shone through. With visibility poor and the focus on developing their navigation skills, the squad zig zagged the barren moors. The relentless tussocks and puddles were worthy adversaries and one bog saw most the team sink a little more than usual! 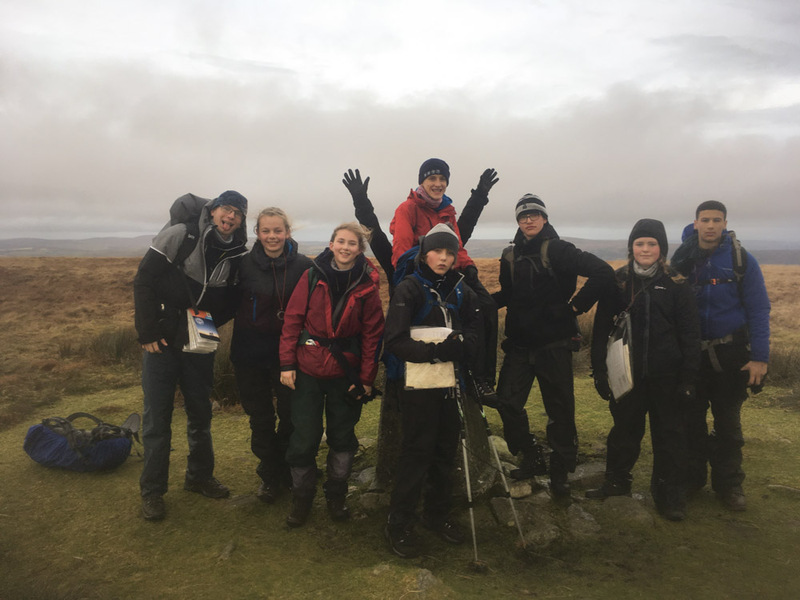 Out of the mud and bog there were faces of tiredness but the squad's true character shone through with optimism and laughter as they re-gathered themselves. A highlight on the summit of the last climb of the day was a glimpse through the clouds from Ryders Hill right down to Teignmouth, which was shimmering silver in the sunlight. Sunday morning would have been welcomed with aching bodies but having learnt so much about themselves and the character of this squad. Every student should look back with pride at what they achieved in challenging conditions.